How Did Milford Vote in the State Election? 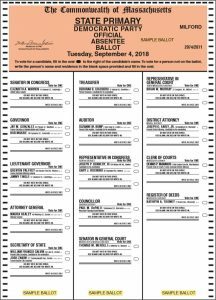 Wondering how each of the precincts in Milford voted on November 6, click here to read the Unofficial Results from the Town Clerk’s office. 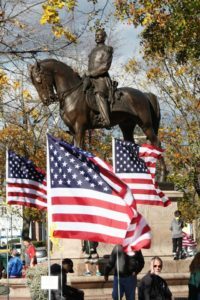 The $60 donation sponsors a flag in Draper Park for all five of the following patriotic holidays: Veterans Day 2018 and Memorial Day, Flag Day, Fourth of July, and Labor Day 2019. 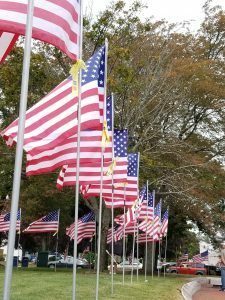 To sponsor or renew a flag for the Draper Memorial Park Field of Flags project, simply complete a sponsorship form and mail it to the address provided on the form with a $60 check made out to the Salvation Army before November 2, 2018. Requests for a printed sponsorship form can be submitted by email to CitizensforMilford@gmail.com. Did You Miss the Candidates Forum? Watch It Now! Citizens for Milford hosted a Candidates Forum featuring the candidates for State Representative of the Tenth Worcester district, as well as the candidates for State Senator of the Worcester and Norfolk district on October 16, 2018. The two incumbents (State Representative Brian Murray, Democrat; and State Senator Ryan Fattman, Republican) and their respective challengers (Sandra Slattery Biagetti, Republican; and Tom Merolli, Democrat) joined approximately 100 area voters to share their visions for the community and answer voters’ questions. Watch the video–courtesy of the pros at Milford TV–below. 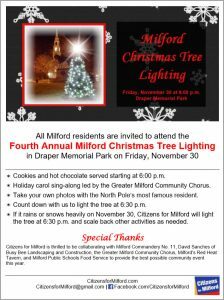 Thank you Milford TV! 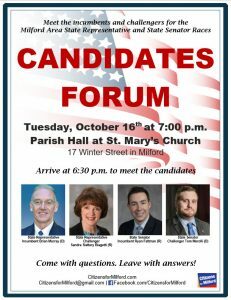 Citizens for Milford extends its sincerest gratitude to all four candidates for their public service to their districts and for taking the time to participate in this important community forum. We also thank everyone who joined us for the forum, as well as St. Mary’s Church for allowing us to hold this event in their Parish Hall. We urge all registered voters to GO VOTE on November 6! 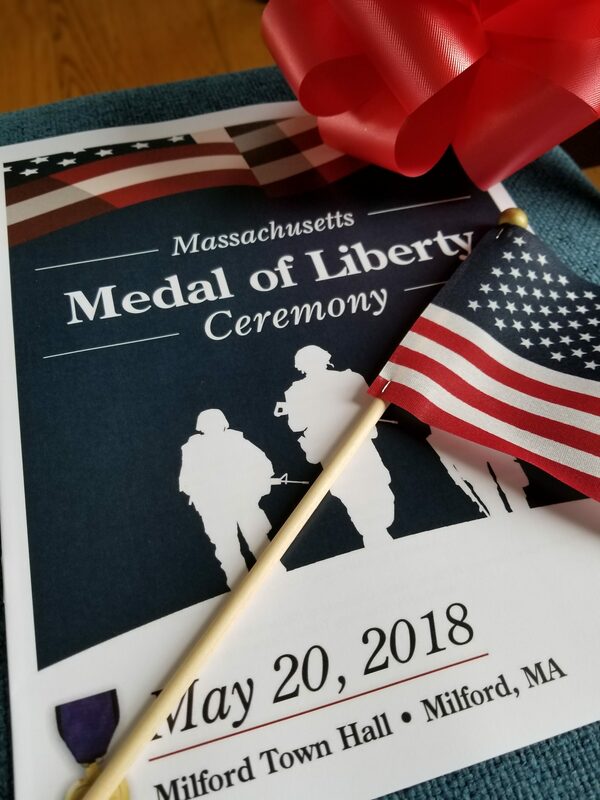 Citizens for Milford and the Milford Medal of Liberty Committee invite all area residents to attend the Massachusetts Medal of Liberty Ceremony. The ceremony will honor the service and sacrifice of over forty Milford servicemen who were killed during World War II, the Korean War, and the Vietnam War. 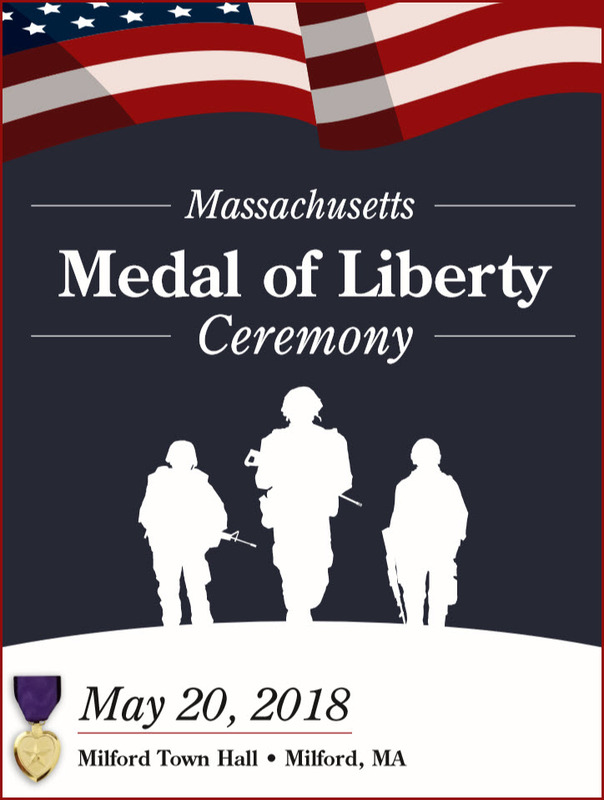 The highlight of the ceremony will be the presentation of the Massachusetts Medal of Liberty to the families of these heroic members of our community. Each family will also be awarded citations from Governor Charlie Baker, U.S. Congressman Joe Kennedy III, Massachusetts Senator Ryan C. Fattman, and Massachusetts Representative Brian Murray. Click here to review the list of fallen heroes whose families will be awarded the Medal of Liberty at the ceremony on May 20. Milford Medal of Liberty Committee Chairman Peter Scandone will preside over the ceremony. Vincent J. Cifizzari, Major, U.S. Army (Retired) and Commander James Johnson, U.S. Coast Guard Reserve, will present the medals to each family. The citations from Governor Baker will be presented to families by Major General Gary W. Keefe, the Adjutant General, Massachusetts National Guard; and Brigadier General Francis B. Magurn II, Assistant Adjutant General, Massachusetts National Guard. Citizens for Milford Chairman Steve Trettel will present the citations on behalf of Congressman Kennedy. Senator Fattman and Representative Murray will both present their citations to families. In addition to the presentation of the medals and citations, the Empty Chair Ceremony will be performed by educator and veterans advocate Jo-Ann DeMaria Morgan and Anthony P. Parente, Master Sergeant, U.S. Army (Retired). Secretary Francisco A. Ureña, Massachusetts Department of Veterans’ Services, and Michael K. Walsh, Chairman, Board of Selectmen, will both make remarks. 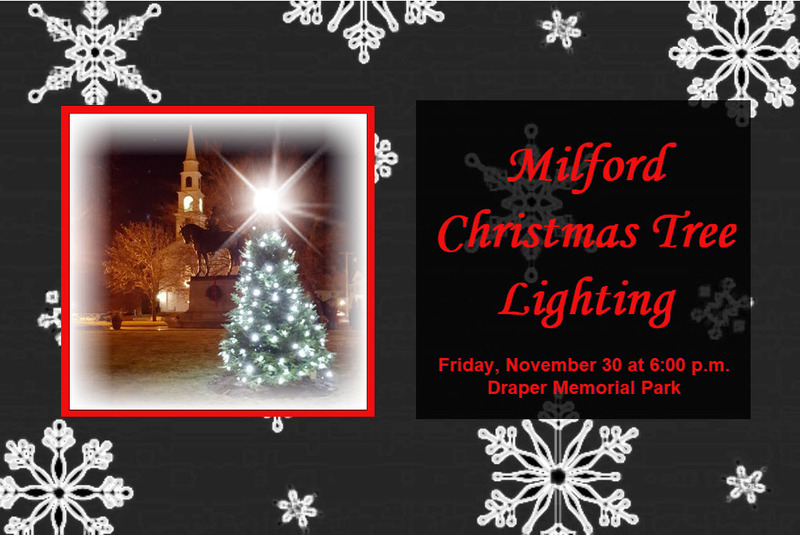 Music will be provided by the Greater Milford Community Chorus, local brass musicians, and singers and musicians from Milford High School. A reception will follow the ceremony. Join Us for Beautification Day April 28th! Let’s Work Together to Beautify Our Community! 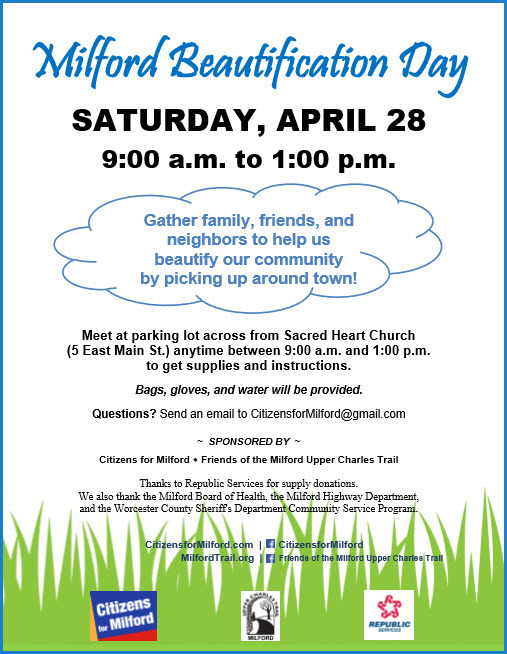 Please plan to join Citizens for Milford on Saturday, April 28 as we make a CLEAN SWEEP across our community by picking up trash. 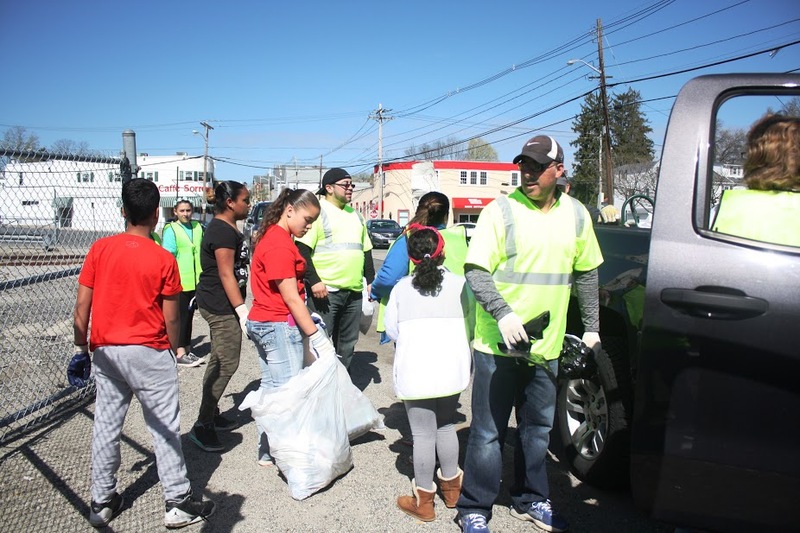 Milford Beautification Day provides an opportunity for area residents, organizations, and businesses to work together to beautify our community. Milford Beautification Day will be held Saturday, April 28th (rain or shine) from 9:00 a.m. to 1:00 p.m. All interested citizens are invited to meet with organizers anytime between those hours in the parking lot across from Sacred Heart Church (5 East Main Street) to get supplies, instructions, and assignments. Trash bags, gloves, and water will be provided to all volunteers. Many of the supplies are being donated by Republic Services. The Friends of the Milford Upper Charles Trail is co-sponsoring Beautification Day with Citizens for Milford. Anyone interested in volunteering or participating in any way on April 28—as an individual, a family, or a group—is encouraged to contact Amie Sanborn by email at CitizensforMilford@gmail.com. Although it is not necessary to sign up in advance, Sanborn notes that having an idea of the number of interested participants can help ensure enough supplies are available. 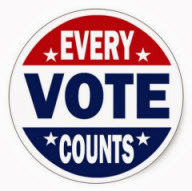 Citizens for Milford congratulates all the candidates, not only the winners, but everyone who spent the time and energy to serve our community by running for office. We tip our hats to you. Thank you! 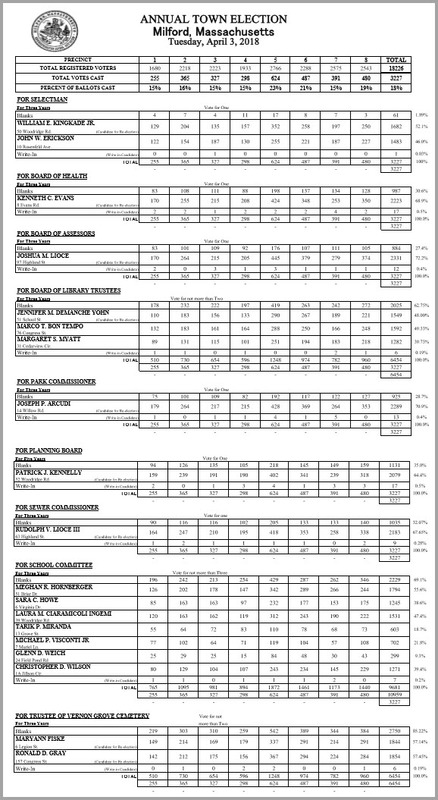 To read the complete, official results from the Town Clerk’s office, including Town Meeting members, click here.